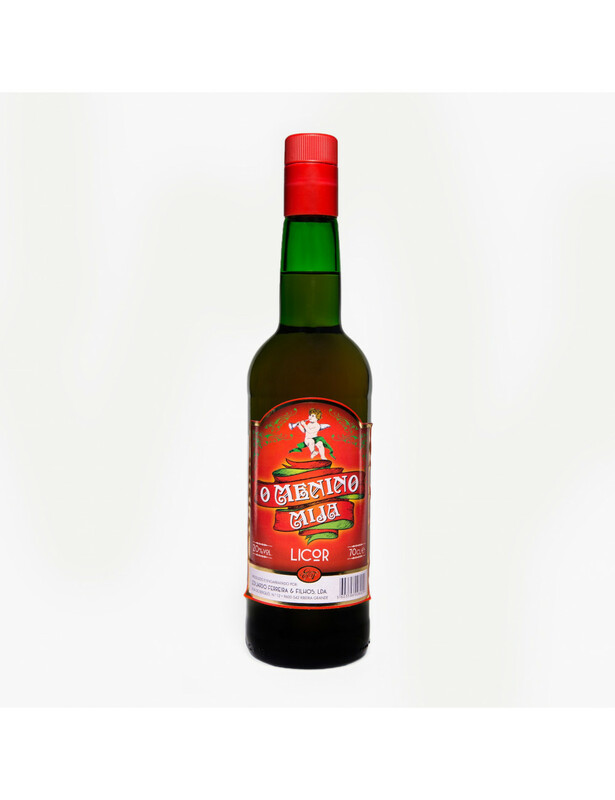 Liqueur produced in the island São Miguel, by Eduardo Ferreira & Filhos, Lda. Bottle of 700 ml. After Christmas Eve and until the Epiphany (January 6th) there's the azorean tradition of "menino mija" ("the boy pees") which joins groups in a sort of pilgrimage through the homes of friends and family. This is a symbol of the ethnographic heritage of the archipelago.